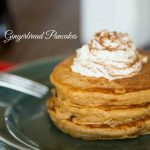 Cinnamon Rolls are usually reserved for holiday breakfasts with my family. But due to the time commitment, I usually rely on the frozen Rhodes version. Don’t get me wrong, for a store bought frozen product, those are great. But probably never again. 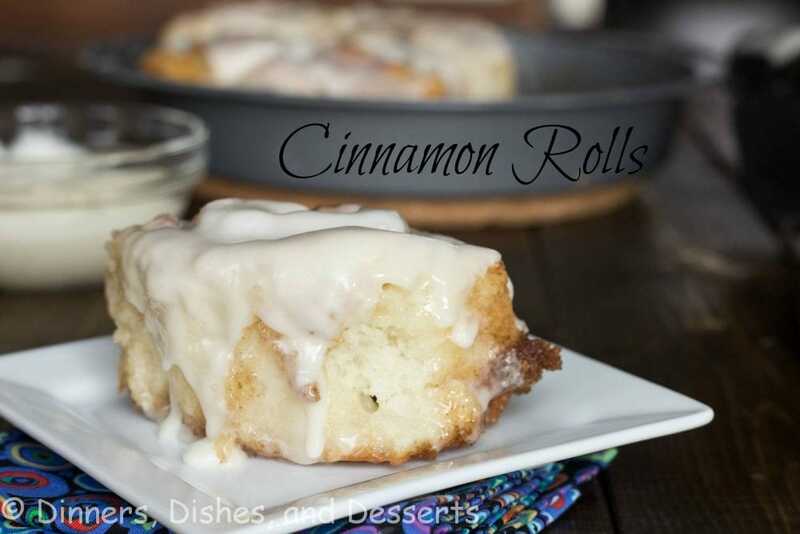 These are a quicker version that your traditional cinnamon roll, ready in about an hour. They aren’t quite your traditional bread dough. They are more like a biscuit, but not quite. Kind of hard to explain. 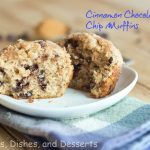 They are tender, flaky, and full of cinnamon, and absolutely delicious! I found these in Cook’s Illustrated awhile ago, I was just holding off on making them. Then I found myself with lots of buttermilk to use, and the perfect excuse for Saturday morning cinnamon rolls. 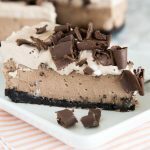 The entire family loved these, and they have been requested again since. The buttermilk is key to making them soft and tender. We aren’t fans of cream cheese frosting, so I just used a vanilla icing on mine. But feel free to switch it up, with what your family likes. And I think your family would love you if you had these on the breakfast table Thanksgiving morning. Preheat oven to 425 degrees. Melt 1 stick of butter in a bowl, let cool (use this bowl for each step when you need melted butter). Brush 1 Tbls of butter into a 9 inch cake pan. Set aside. Prepare the filling. In a bowl combine brown sugar, sugar, cinnamon, cloves, and salt. Add 1 Tbls melted butter. Using your fingers or a fork stir together until is feels like wet sand. Set aside. Prepare the dough. In a large bowl, whisk together flour, sugar, baking powder, baking soda, and salt. In a liquid measuring cup mix together buttermilk and 2 Tbls melted butter. Add the milk mixture to the flour mixture and stir with a wooden spoon, until everything is combined (about 30 seconds). The dough will be very rough. Turn onto a floured surface and kneed until just smooth (handle as little as possible for flaky rolls). Using your hands, press the dough into a 12x9 inch rectangle. Brush with 2 Tbls melted butter. Sprinkle the filling evenly over the dough, pressing gently into the dough. Be sure to leave about 1/2 in border around the edges. Using a scarper loosen the dough from the counter, and roll (starting from the long side), into a tight cylinder. Pinch to seal. Using a sharp knife, cut into 8 equal pieces. Slightly flatten each piece of dough, to try to keep the filling in. Place 1 roll in the center of the prepared pan, and arrange the other 7 around it. Brush with the last 2 Tbls of butter. 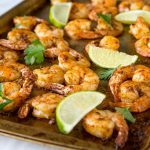 Bake for 20-25 minutes until the edges are golden brown. Allow the rolls to rest for 5 minutes before frosting. Meanwhile, prepare the icing. In a small bowl mix all of the icing ingredients together. You can adjust the milk and sugar level to get the desired consistency. Drizzle the icing over the cinnamon rolls. Remove from pan to serve. 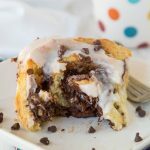 Cinnamon buns are one of my absolute favourite indulgences, and I love this quicker version! They look fantastic! Yum, yum, yum! These sound incredible, you can never go wrong with Cook’s Illustrated! They are always such a pain to make but the end result is SO WORTH IT. I’m freaking fasting right now and probably should not have stopped by. You should hear my belly right now. I swear it’s screaming “cinnamon rolls, cinnamon rolls”. These look to die for. I’m sure I’ll dream about them tonight. 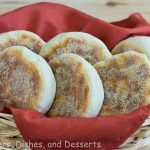 These look very tasty, my family has a tradition of having cinnamon rolls the morning of Thanksgiving. These remind me of that! 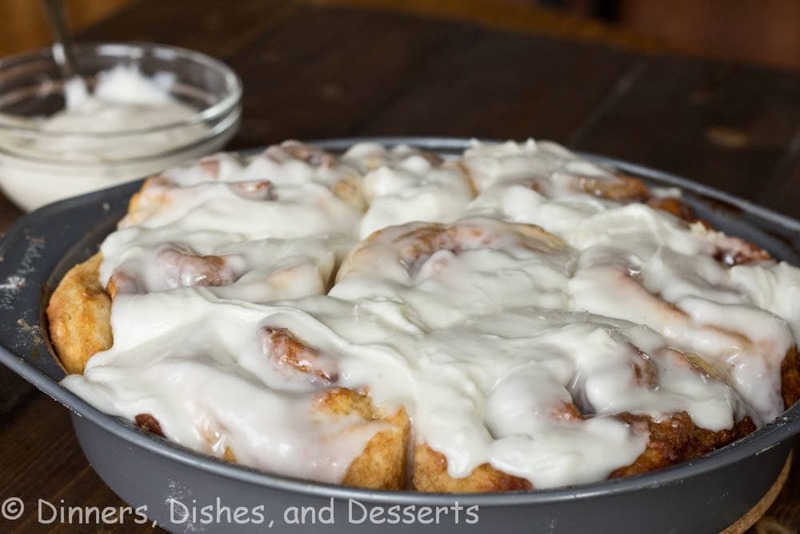 Cinnamon rolls are the best, these look incredible! 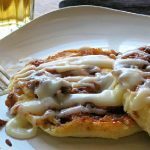 Your cinnamon rolls look amazing! 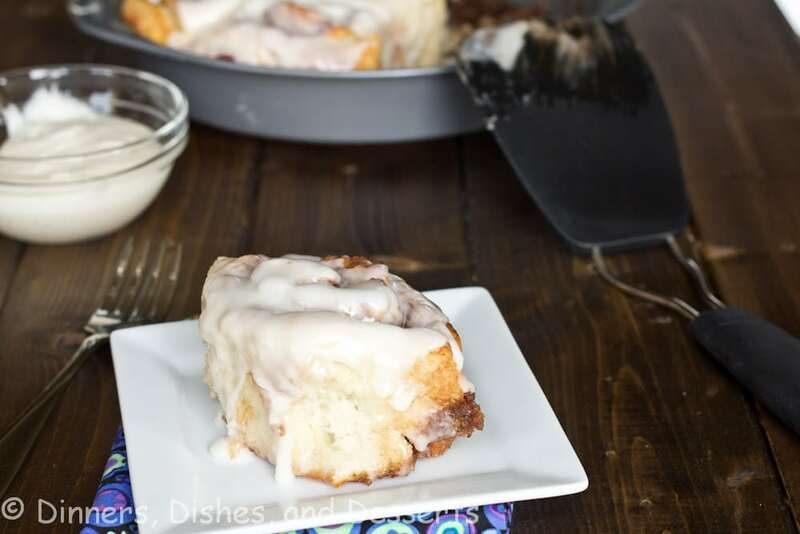 I remember as a kid, my grandmother making cinnamon rolls and she used dental floss to cut the rolls. Oh how I miss grandma!! Cinnamon rolls are my true weakness. If they are fresh and I am smell them; I cannot resist. Definitely a special occasion treat! 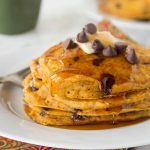 Erin, I’m so glad you mentioned using up excess buttermilk — our local grocery store doesn’t stock anything less than 1/2 gallons and I only needed a cup — these sound wonderful! (Bookmarked…) Blessings to you and your family this Thanksgiving! 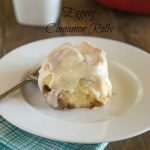 I adore homemade cinnamon rolls! I was actually thinking about making a pan for tomorrow too! I keep reading about yeast-free cinnamon rolls. I have to try them someday soon. They sound as good as the yeast version. 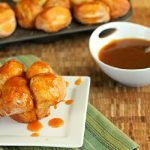 They look and sound so good and I’ve seen the Cooks Illustrated recipes and never usually keep buttermilk on hand – I know you can make a makeshift version with vinegar but have always wondered if these would work with just half and half? Regardless they look amazing! and yeast-free and fast! I have never been a fan of the make your own buttermilk; but maybe that is because I only ever use skim milk, and buttermilk is definitely thicker. Oh man I made these a few months ago and did some serious damage on the batch before anyone else even had a chance. 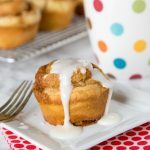 There’s not much that’s better than a warm, gooey cinnamon roll! These are really easy, I hope you try them! Mixing and working with them as little as possible after you add the buttermilk will give you the fluffiest dough. Let me know how it works for you! 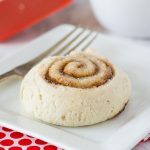 I’ve never met a cinnamon roll I didn’t love! Yours look awesome! We make an old family recipe for doughnuts every Christmas morning, but was wanting to do cinnamon rolls this year. 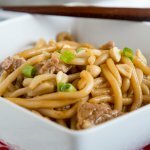 I think this recipe will be the one we make this year. The cream cheese frosting would be better suited for our taste, though. Better get to Cook’s Illustrated to find it. Or, do you happen to have the original recipe you could send to me? Shopping today for ingredients. 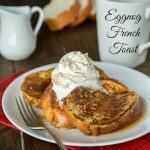 The original icing recipe was 2 Tbls cream cheese, softened 2 Tbls buttermilk 1 cup powdered sugar – just mix it all together and you are done. Hope you enjoy! 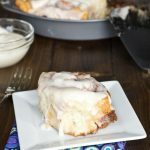 Cinnamon rolls are one of my favorites! These look great! These will definitely be breakfast in the morning. Thank you!